Note: All demonstrations are conducted on the piano. It is recommended that pianists study volumes 1-10 and other musicians study volumes 1-5. Does physical legato always lead to musical legato? Try the Taubman Techniques risk-free for 60 days. 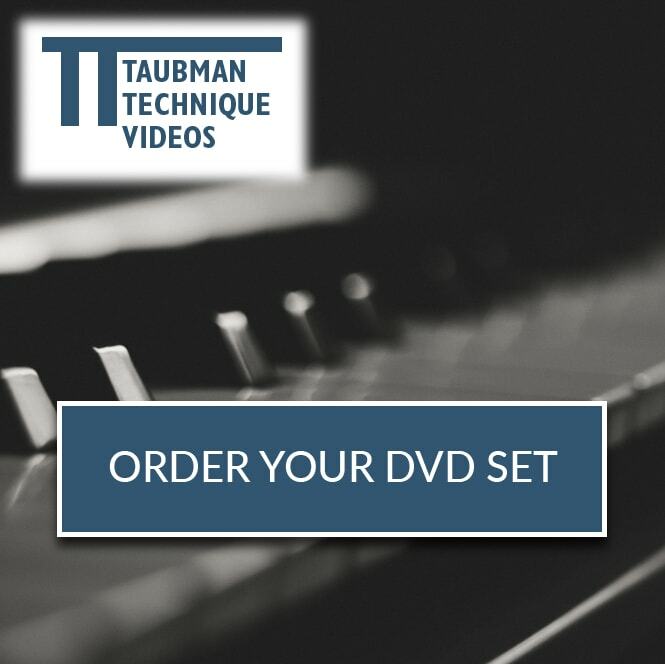 If you are dissatisfied for any reason, you can mail back your order to us (even if the DVD cases have been opened) within 60 days of receiving it for a prompt and courteous refund of 110% of your full purchase price.Try the Taubman Techniques risk-free for 60 days!